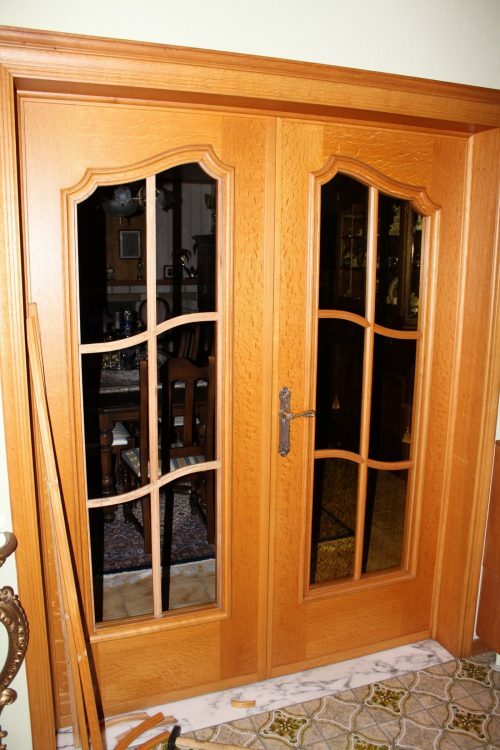 Incorporating an existing stained-glass in double glazing. 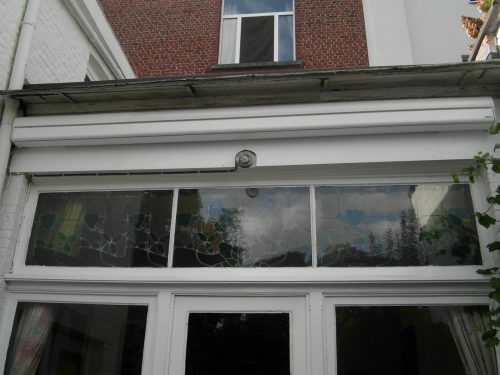 The old windows were replaced by new ones. 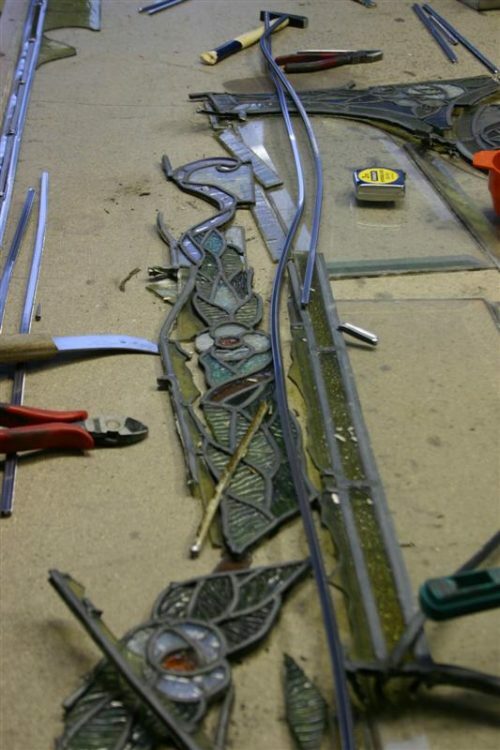 We stripped the stained-glass windows of their old lead, and we re-leaded the entire windows to incorporate them in double glazing afterwards. 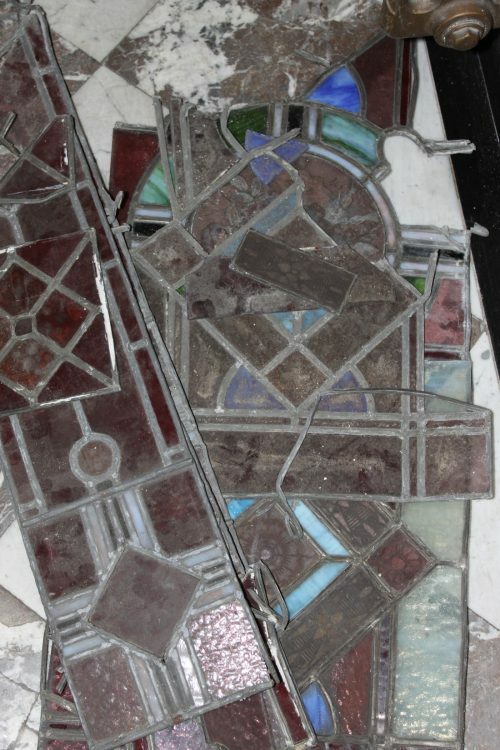 The owners found this old stained-glass panel in the basement of their newly purchased home. Artglas transformed it into a skylight and two doors.